:Having the perfect amount of grip in the thumb hole is essential for a good release. It makes the ball feel lighter, helps create more ball speed, frees up the correct throwing position and adds revolutions! Find the VISE TA-1 and TA-2 Series Thumb Hole Tapes that work the best for you and Get A Grip on your game! TA-1C is a thin Teflon tape with a very slippery property designed to eliminate sticking spots. Hello! Unfortunately, it is not advertised at this time. 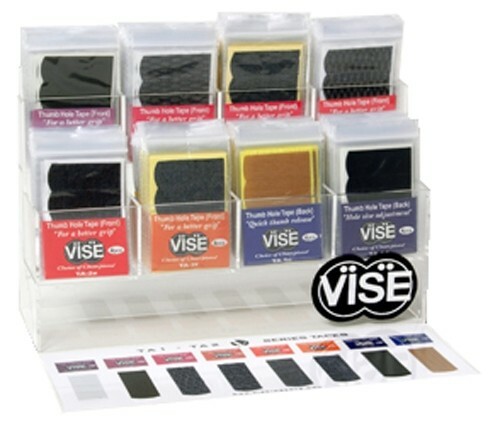 Due to the time it takes to produce the VISE TA-1C Series Thumb Hole Tape DOZEN ball it will ship in immediately. We cannot ship this ball outside the United States.